Republican leaders in Congress have complained about Trump's tariffs, but have not limited his trade authority. 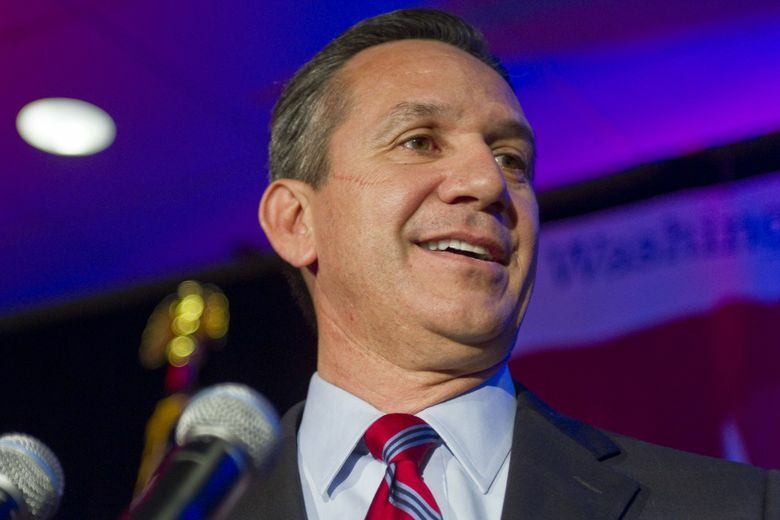 The U.S. Chamber of Commerce has dropped $200,000 on new TV ads in support of Republican candidate Dino Rossi in Washington’s closely watched 8th Congressional District race, according to a Federal Election Commission filing Friday. The cash from the business lobbying group — a traditional backer of Republicans — is funding rosy TV ads praising Rossi as a champion on free trade. The 30-second spots note that 40 percent of jobs in Washington are trade-dependent. Republicans in Congress, including 8th District incumbent Rep. Dave Reichert, R-Auburn, also have objected. Reichert led a hearing this week, citing a Washington winery owner who has lost $500,000 in export sales due to a retaliatory tariff imposed by China in response to the new U.S. tariffs. But GOP leaders have not moved to limit the president’s tariff authority and give Congress the ability to review proposed tariffs. House Speaker Paul Ryan, R-Wis., has said Congress won’t pass such legislation, citing Trump’s opposition, according to Roll Call. Rossi, a former state senator, has repeatedly said he diverges with Trump on trade. In an interview earlier this year, he said he hoped Trump’s tariff talk was just a blustery negotiating tactic. Since then, the president has imposed $34 billion in tariffs on China, in addition to tariffs on imports of steel and aluminum from the European Union, Canada and Mexico. In a statement this week, Rossi said he’s been “very open about my disagreements” with Trump on the subject. “Especially here in Washington, where we export so many of our products, we have a lot to lose in a trade war. And he (Trump) may be taking on too many targets at a time. He may have a point — China hasn’t always been fair in their dealings with us, for example. But do we really have to take on China, the EU, Japan and Canada all at the same time? I’d prefer to pick one to renegotiate with to show everyone we will stand up for our farmers, businesses, and consumers,” Rossi’s statement said. Asked whether Rossi would sign on to a bill actually limiting the president’s tariff authority, his spokesman, Andrew Bell, didn’t commit to any such action, saying Rossi would have to review any specific proposal before signing on. Democrats in the 8th District race have slammed Republicans and Rossi on trade, though they also have been critical of some international trade pacts. The Chamber’s $200,000 independent expenditure is the largest reported so far in the 8th District race and comes as ballots are hitting mailboxes for the Aug. 7 primary.